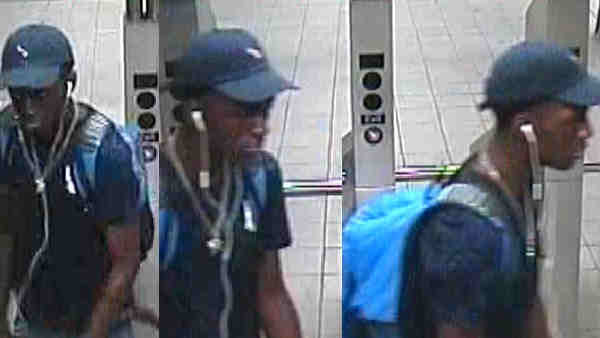 BROOKLYN, New York (WABC) -- Police are looking for a man wanted in a subway slashing in Brooklyn. Around 6:30 p.m. Sunday, the suspect argued with the victim in the turnstile area of the Delancy Street and Essex Street subway station. According to the New York City Police Department, the dispute escalated, and the suspect grabbed the victim's LG cellphone and threw it. Police said the victim then followed the suspect onto a southbound M train at the Delancy Street and Essex subway station, then got off with him at the Myrtle Avenue subway station. At that station, the suspect used a box cutter to cut the victim's left cheek. The victim was taken to an area hospital and is stable.